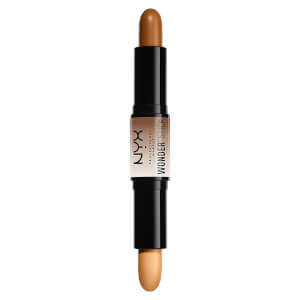 Achieve a flawless complexion with NYX Professional Makeup HD Photogenic Concealer Wand, a camouflaging makeup formula that expertly covers up and colour corrects imperfections, discolouration and dark circles. 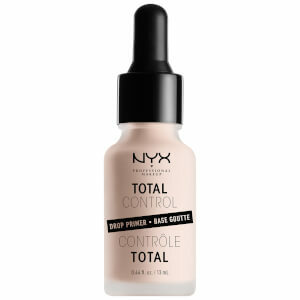 Despite its medium to heavy coverage, the liquid concealer feels lightweight on application and remains natural-looking and undetectable on skin for a flawless, perfected complexion. Blending seamlessly without feeling cakey, the concentrated formula is rich in nourishing emollients and will help to blur the appearance of blemishes and pigmentation for a more even skin tone. Available in a range of colours, including colour-correcting purple, green and yellow to neutralise sallowness, redness and dark circles. 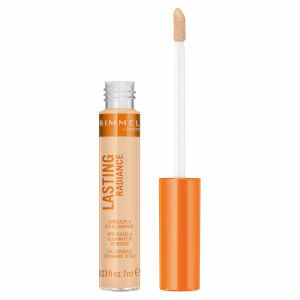 Apply onto bare skin over any imperfections or over foundation and blend with fingertips. Use the lavender shade for sallow skin, the green shade to neutralise signs of redness and the yellow to conceal dark circles. Water/Aqua/Eau, Trimethylsiloxyphenyl Dimethicone, Trimethylsiloxysilicate, Glycerin, Silica, Isononyl Isononanoate, Sorbitan Olivate, Caprylic/Capric Triglyceride, Cocos Nucifera (Coconut) Oil, Aloe Barbadensis Leaf Extract, Tocopheryl Acetate, Triethoxycaprylylsilane, Euphorbia Cerifera (Candelilla) Wax/Candelilla Cera/Cire De Candelilla, Xanthan Gum, Alumina, Caprylyl Glycol, Phenoxyethanol. May Contain / Peut Contenir (+/-): Titanium Dioxide (Ci 77891), Iron Oxides (Ci 77491, Ci 77492, Ci 77499), Manganese Violet (Ci 77742), Ultramarines (Ci 77007), Chromium Hydroxide Green (Ci 77289), Chromium Oxide Greens (Ci 77288), Yellow 5 Lake (Ci 19140).